First, I want to tell you that I love Otto’s post Humanity Captured. Ha ha… Seriously, I have written several posts on what I have learned at Otto’s workshop. It was through that workshop I’ve built my foundation of photographing and what a strong foundation it is. Thank you, Otto. Scottsdale’s scenery is very different. My first thought was that I could only capture the beauty of the land via a panoramic view. These were taken with iPone6. But later, I did see other possibilities. “Look! You are Beautiful!” is my new project. (If you have read my posts on Passion and Purpose part 1 and part 2, you would understand what this project means to me.) My idea is to take photos of those who are currently having difficulty in their lives (for whatever reason), and give their photos to them. It’s my hope that they would be able to see how beautiful they are no matter what is happening to them at this moment. This entry was posted in photo, photo and thoughts, random thoughts. Bookmark the permalink. That project of yours sounds very interesting. We are all indeed beautiful in our own way. Good luck in making people smile and realise that they are loved. Balancing life is not easy. I have struggled for a while. I finally started limiting my blogging time, but then I felt a little guilty because I didn’t have time to make a lot of comments. I am still working on it. Thank you, Mabel. I don’t think there is such thing as perfect balance in life. If so, then we won’t ever feel stressed and worry about not having enough time to do things. Blogging is more time consuming than people think. Not only do we write out posts, but edit them too and the photos as well. Reading and commenting on blogs is another thing altogether. Thanks, Sue. Now that I have announced my project to the whole world, I pray that lady will call me soon 😉 In my next life, I would like to get rid of some shyness. Ha. I love your beautiful panorama photos, Helen! So happy to know you have Texas on your list. Winter can be both warm and cold, we had 20 f to 30 F last week (a week before it was 60F); and Tree had to deal snow and freezing rain for days in Fort Worth and Dallas… Crazy! Thanks, Amy. With both you and Tree living there, Texas definitely is one on my list. Ha. 30 F sounds good to us. This morning we have 36 F, and I think everyone went out to enjoy the day, many without winter coats. It went up to 46 F. We love it!!! I like your mission and I am sure everyone can tell you that you have done an excellent job. I enjoy seeing your photos a lot! For me, even though I enjoy seeing the beauty of the world and I am quite satisfied that I am a part of universe, I still want to somehow make a change. Wait a second… you have done that too, by being so nice to fellow bloggers. 😉 Thanks, Amy! You are right, Amy. I totally agree with you, and I am much happier after connecting to so many wonderful bloggers. I think… I am going to try to allocate time for each of my tasks and see how it goes. I hope it will work. Thanks, again. Please do… That will be so cool, Helen! Helen, this about made me cry. You have the biggest heart….I know what you mean about the addiction part. My husband doesn’t ask why I am at my computer before work…and then again after work; he knows. I do love this, but also have to step away sometimes. Lois, you don’t know how much I wanted to come to FL so we could sit by water sipping wine and chatting 😉 I have never told you this… I actually have a picture of you in my head, which I have no clue where it came from. Ha. I like the idea of the project, but I also know there are things I have to overcome. I guess I will take a step at a time, enjoying the process and trying to do my best. Cheers. Thanks, Cee. My heart is pounding now… Monday is coming and I should go out and talk to people about this project… I hope it’s not too difficult. Ha. I saw your photos at Otto’s, and they are wonderful. You captured the individuality of each person so nicely. Just so you know, I am in Texas, just south of Houston, and yesterday was strawberry picking time. We are congenial people, and have mostly good winter weather, although it can be icy and cold from time to time. But it rarely lasts long. Do you know the song “Bread and Roses”? It was an organizing song in the early 1900s. You can find a bit of the history about it, and a video of the song at my blog. The title I used, “Feeding Bodies, Sustaining Souls,” points to the same reality you are off to capture. I’ll look forward to your posts! Hello, Linda. Otto is a wonderful person. I like his attitude toward life and how he constantly inspires others. Not to mention he is also a great photographer. Getting to know him is a bless! OMG, what an interesting article you have written. I had an idea on what I wanted to do and maybe my first step on how to accomplish it… and your article has clearly provided many details for me! I am so thankful! I bookmarked your page and will definitely go back to read it again and again. At this moment, I am thinking of just doing it (without starting a non-profit org… etc.). I hope it will work. Hi Helen, I love your new project! Helping someone will be a gift for him/her and a gift for you. I’m happy you are in a warm place, the cactus are great for photos. Have fun! Thanks, Elizabeth. I am back to MN now, but the weather is getting better. This morning we have 36 F!!! It’s so nice! Spring is coming, now I am sure. How is your shoulder? I haven’t heard you talk about it recently. Hope you are fully recovered and everything goes well. Hi Helen, my shoulder is getting better. Yes, I can feel spring around the corner. Have a great week! Thanks! I know what you’re saying about the blogging, obsession, other things in life, etc. It gets to be like a job and that’s not something I want to have again. I want to have fun. So, backing off, when it gets like that, is a good thing. Fine line – obsession/passion. I don’t know. I’m not expert. Anyway, your project sounds amazing. Kind of like you. Good luck. Unfortunately, you have a point, and I have to cut down. I am doing better now… really. THANKS! Your photos are absolutely beautiful. You have become quite the talented photographer. Your next project sounds great. I can’t wait to see your photos. I am sure you will find a way to walk through your discomfort and create some memorable moments and pictures for deserving people. Thanks, Tree. You inspire me, remember? 😉 And I mean it! This morning, I spent some time practicing photographing… trying to learn some basic things. The truth is that I have many bad photos from the trip. The composition is good (I think); the scene is good (I think); but many suffer with that same old noise problem. I determine to change that and learning is so fun! Thanks, Tree. I do wish you good fortune on your new endeavor. Life is a balance, but more importantly, it’s at its best when we find our passion or passions. Helen you are very kind and I appreciate these words a great deal. My blog is not all live time trips. For instance today’;s post is from several years ago. We do like to keep very active and we do travel a fair amount as well as weekend adventures. I always say there will be time to sit inthe rocking chair when we can’t move. till then off we go and take those with us who might prefer the comfort of their home or are unable to travel or adventure for whatever reason. It is a privilege to share the stories. No wonder I havent see you posted for a while! Haha. Looks like it was a nice get away from the MN cold. You should visit California! Sounds like a worthwhile project, which should be mutually beneficial, so good lick with it. I agree with you on blogging. I’ve made the deliberate effort to post less, which started with my 3 month break earlier this year. So much to love in this post, Helen. 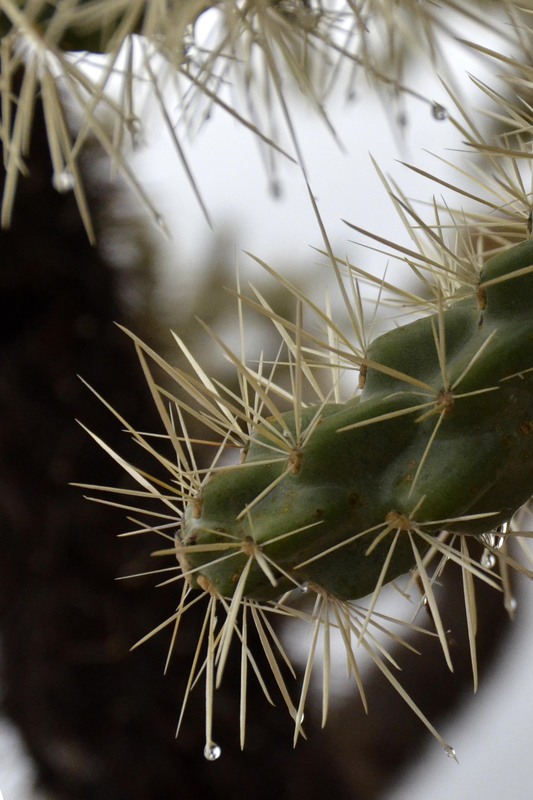 Your photos with the iPhone are beautiful, the panoramas AND that gorgeous cactus closeup. As for finding your blogging balance, I too am struggling with that. Your new (and such heartfelt) project is one that will give you time with your camera, embracing life, and helping others in return. That is wonderful beyond words! This is my first visit to your blog after clicking from a comment you made on another blog. So much of what you said in your Scottsdale post really struck me. I am a Wisconsin native living in northern New Mexico. We still get winter here but not the harsh Wisconsin type of winter which I know is comparable to Minnesota. The photos of Scottsdale take me to a place I know I have been. Beautiful. I am a new blogger and I definitely get the addiction part. I too need to find a balance. And your idea of taking pictures of people and giving them the photo is beautiful and benevolent. I will enjoy following your blog. Thanks for stopping by and following my blog. I always wanted to visit New Mexico. One friend told me it was beautiful there! Just visited your blog – I like it a lot. I am looking forward to reading more. I completely agree with you. Life is all about the experiences and stories we make in our lifetime.